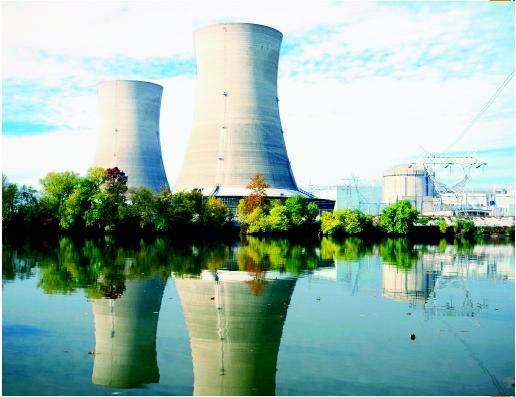 The looming towers of Three Mile Island (TMI) grew in size as I drove from Conshohocken to Harrisburg, PA, some 90 miles away. It was on this very day, March 29, 31 years ago, that America experienced fear and a second-guessing of its decision to build nuclear reactors so close to populated areas. I entered the grounds as one of only six reporters to tell the world what it was like inside a facility that had just weathered a partial melt-down, far worse than what had been described in the movie with Jane Fonda and a young Michael Douglass, the “China Syndrome.” The movie’s title came from scientists’ theories that such a melt down of a nuclear core could burn all the way to China from a place like . . . would you believe the movie, filmed before the accident, actually referred to the state of “Pennsylvania.” What a coincidence. Or was it synchronicity? President Jimmy Carter had “toured” the plant a few days earlier. Himself an engineer, he wanted to insure to Americans that there was no fear of the plant. It helped. So did the cool-headedness of then Pennsylvania Gov. Richard Thornburgh, who later served as US Attorney General. I compared Three-Mile Island to the plant being built in Limerick, PA, some 25 miles outside of Philadelphia. Nothing I wrote as a “pool reporter” is memorable today. I described routine activities like employees working at the job site, a man’s ability to forge on despite accidents, and the cleanliness of the facility — except for some graffiti that our Pulitzer-prize winning photographer captured for the story. But, it had very little criticism and probably got very little exposure in a period when “bad news” travelled a helluva lot faster than the good stuff. Today, TMI is just a “blimp” in America’s history. But anyone who lived close to it back then, can tell you of the evacuation of nearby towns and the record volume of telephone calls made to Pennsylvania from loved ones out-of-state. If someone even remotely connected to the area told you they weren’t scared, don’t believe them. We all were. Some won’t admit it. Each reporter was given a plastic pin that we carried on our chests. It was to measure any exposure to radiation. At the end of the day, you turned in the pin and weeks later you got notification from the company. Got no radiation exposure, according to the letter from MetEd. Kept that letter and actually framed it. You see, the company that was trying to show the world that there would never be any other mistakes in managing the use of nuclear energy had proven to me how fallible they truly were. They made a mistake with my zip code. Got it completely wrong. Did not even come close and actually printed out a code for someplace out west, I seem to recall. Human error? Or machine? Did it really matter back then? This entry was posted in meditation, understanding and tagged heartfelt, Philadelphia. Interesting post on what it was like to live so close to something like that! Another pressing concern is what to do with all that nuclear waste. I don’t know the answer. I guess I’m hoping that science will eventually find a use for the waste, or a better way to store the stuff. Science should spend less time building bigger bombs and more time in creating better security for generations to come . . .
My brother works in a nuclear plant, and has for about ten years now (I think). He describes conditions there much as you have, but because of his trade, he was able to provide a lot of inside information not normally accessible to most folk. They are dead serious about employee and public safety, in a way that seems almost paranoid. The steps they take before during and after taking a plant down for maintenance updates and inspections are just phenomenal. Those steps are also quite lengthy and therefore costly as well. I can’t do just to what my brother described to me so won’t try. Let’s just say that if ever I harboured any kind of doubt about nuclear energy, he was able to dispel them for good. I feel secure. The worst happened. And no one in North America died. If it could help the energy shortage in anyway, then let’s do it.